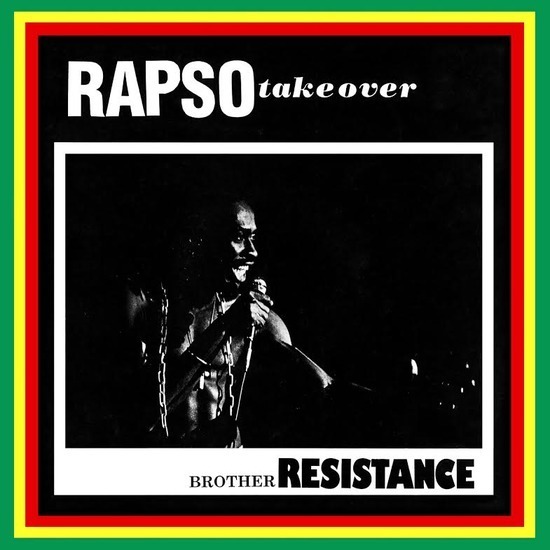 *Originally released in 1986, Brother Resistance's 'Rapso Takeover' blends calypso, reggae, disco, funk and poetry to create the artist’s signature Rapso sound* "A progressive form of poetry from Trinidad and Tobago, Rapso emerged as a means by which to articulate the daily suffering symptomatic of the social unrest afflicting the nation throughout the 1970s and 80s. Brother Resistance played a significant role in the Rapso movement, deploying his music to spread messages of hope and liberation. The authorities took Brother Resistance’s rising status seriously, destroying what they could of his studios and in the process leaving only a small amount of his music in circulation. Now for the first time we can hear Brother Resistance’s finest work remastered and repressed. The music and the message live on through Rapso Take Over’s stripped back rhythms infused with steel and strings, all carried by the voice of resistance"